Buddy Dyer is the dean of Florida’s big-city mayors, having served Orlando’s residents since 2003. 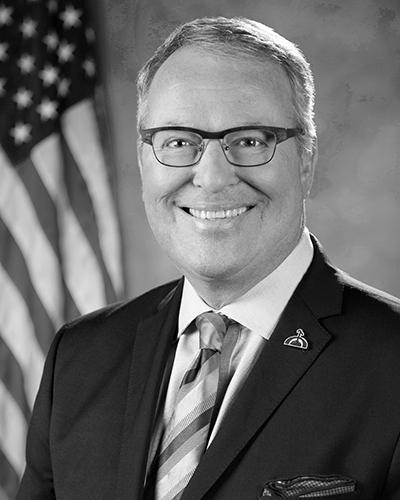 Under Orlando’s strong-mayor form of government, Mayor Dyer serves as the City’s chief executive and also helps govern and oversee the operations and growth of its city-owned utility and the Orlando International and Executive Airports. Under the law that created the Central Florida Expressway Authority, the Mayor of Orlando sits on its governing board. Since his first day in office, Mayor Dyer has fought to increase cooperation and partnership between Central Florida’s many governments, its business and civic communities and its residents. The result of this effort is a new era of collaboration that has paved the way for a string of remarkable, game changing accomplishments for greater Orlando in a very short period of time and has set the City on course for a more prosperous future. Before he chose to serve in public office, Mayor Dyer worked as an environmental engineer. He has also practiced law for more than 20 years. He often calls upon this dynamic professional background to serve the residents of Orlando. Where other elected leaders may only focus on the big picture or one specific area of expertise, Mayor Dyer has been able to create broad shared visions for projects and policies while also playing a key role in the technical, legislative or legal process that is necessary to make them a reality. The Orlando Mayor holds a permanent seat.